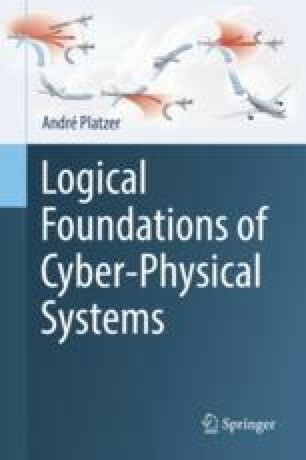 This chapter develops the central dynamical systems model for describing the behavior of cyber-physical systems with a programming language. It complements the previous understanding of continuous dynamics with an understanding of the discrete dynamics caused by choices and controls in cyber-physical systems. The chapter interfaces the continuous dynamics of differential equations with the discrete dynamics of conventional computer programs by directly integrating differential equations with discrete programming languages. This leverages wellestablished programming language constructs around elementary discrete and continuous statements to obtain hybrid programs as a core programming language for cyber-physical systems. In addition to embracing differential equations, semantical generalizations to mathematical reals as well as operators for nondeterminism are important to make hybrid programs appropriate for cyber-physical systems.